Put the bread down in the pan in two layers. Use an 8″ by 8″ pan. Pour over the bread and let the bread sit for 10 minutes so it can soak up the egg mixture. Make a foil tent and place it over the bread. Cut two slits in the foil so that the steam can escape. Make sure the foil tent is well sealed. Place this pan in a larger pan and pour hot tap water half way up. Place into oven for 45 minutes. Take the tent off and cook for an additional 40-45 minutes. 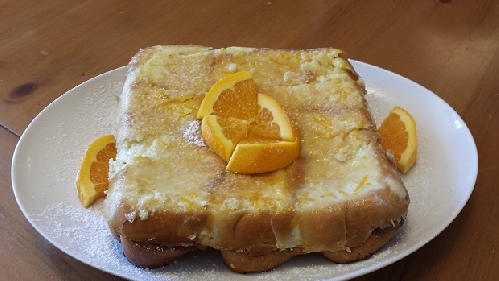 Cool and dust with powdered sugar and decorate with orange slices. 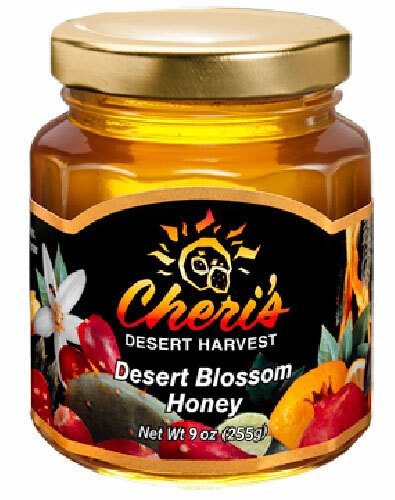 Serve with Cheri’s Desert Blossom Honey poured on top if desired.